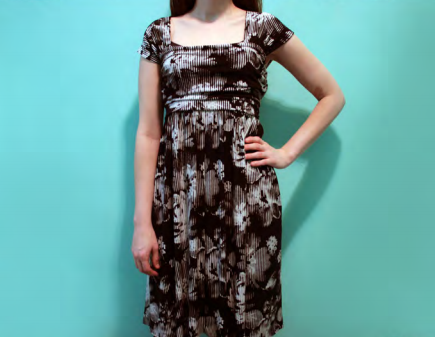 Custom-fit and cute as can be, this awesome a-line dress looks terrific on just about everyone. What’s more, the super feminine, bare-n-square neckline sets the stage perfectly for a statement necklace or a pair of those chunky, chandelier earnings we’re seeing everywhere this season. 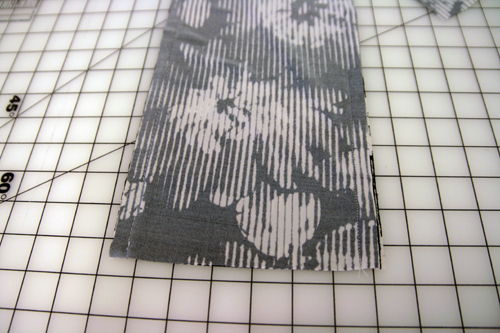 Use 1/2”-wide seam allowances unless otherwise indicated. 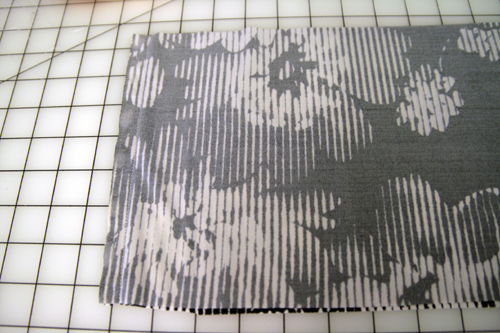 Step 1) Create your custom-fit pattern. Measure your bust circumference and subtract 3”. Divide this number in half to find A. Draw the pattern pieces following the markings in the diagram. 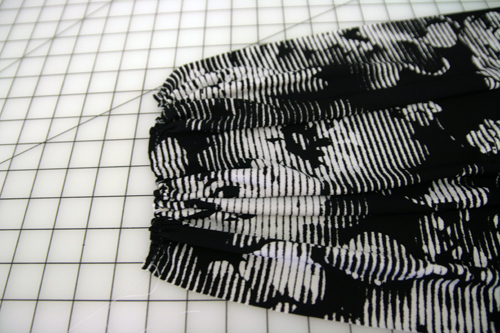 Cut out the fabric pieces. Step 2) Make the bodice. 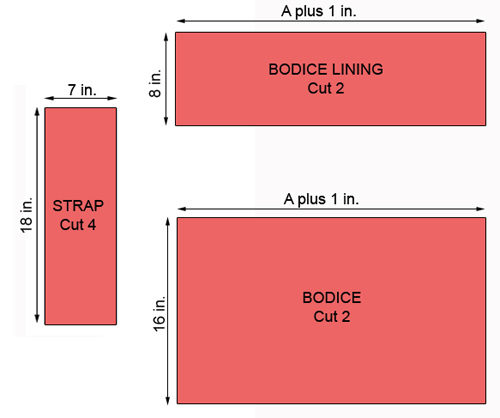 With right sides together and raw edges aligned, sew two strap pieces together along both long edges. Repeat for the remaining two strap pieces. Turn the straps right-side out and press. 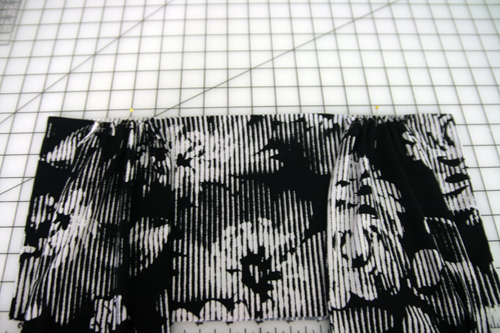 Baste along each short end with a 1/4”-wide seam allowance. 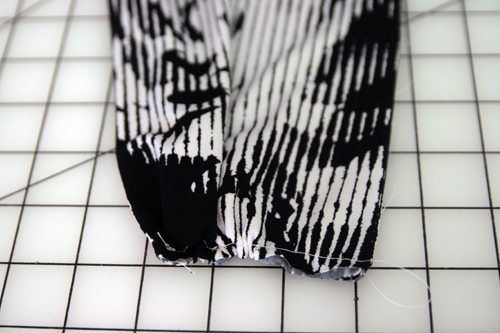 Pull the bobbin threads to gather each end of the strap to 3” wide. Knot the thread ends together. 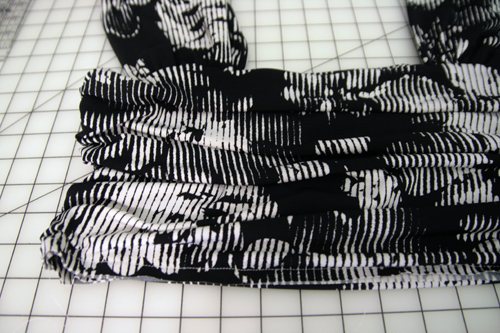 On each bodice piece (not the lining pieces), baste along each short side using a 1/4”-wide seam allowance. Pull the bobbin threads to gather the sides to be 8” wide. Knot the thread ends. With right sides together and raw edges aligned, sew the front and back bodice pieces together along their gathered edges. Press the seam allowances open. With right sides together and raw edges aligned, sew the bodice lining pieces together along their short edges. Press the seam allowances open. Try on the bodice and pin the straps in place. You can make the straps go off the shoulder slightly, crisscross in the back, or just go straight over the shoulder. Trim excess away if necessary. With raw edges aligned, sew the straps in place along the bodice’s top edge. With right sides together and top edges aligned, sew the bodice to the bodice facing along their top edges using a narrow zigzag stitch. Turn the bodice right-side out and align the bottom edges. Baste along the bottom edge using a 1/4”-wide seam allowance. Step 3) Add the skirt. 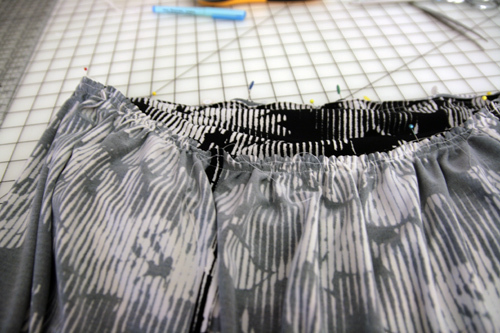 With right sides together and raw edges aligned, sew the two skirt pieces together along their side seams. Press the seam allowances open. Baste along the top edge using a 1/4”-wide seam allowance. 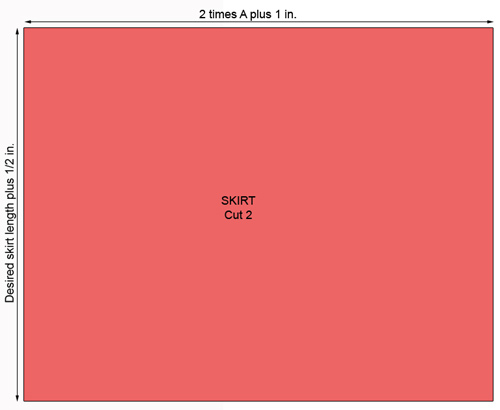 Pull the bobbin thread to gather the top edge of the skirt to equal the dress bodice’s circumference. 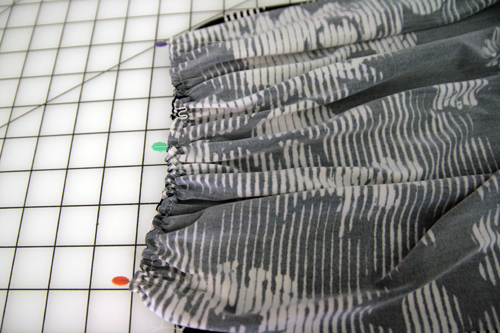 With right sides together and raw edges aligned, sew the skirt’s gathered edge to the bodice’s lower edge using a narrow zigzag stitch. 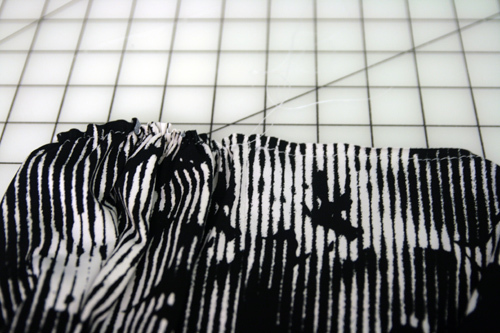 Use a seam ripper to remove all of the basting stitches. 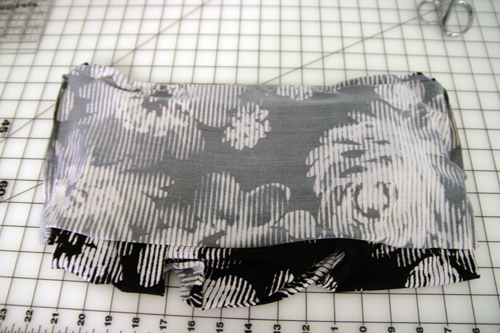 Can you add directions for using the sleeve pattern rather than the strap? 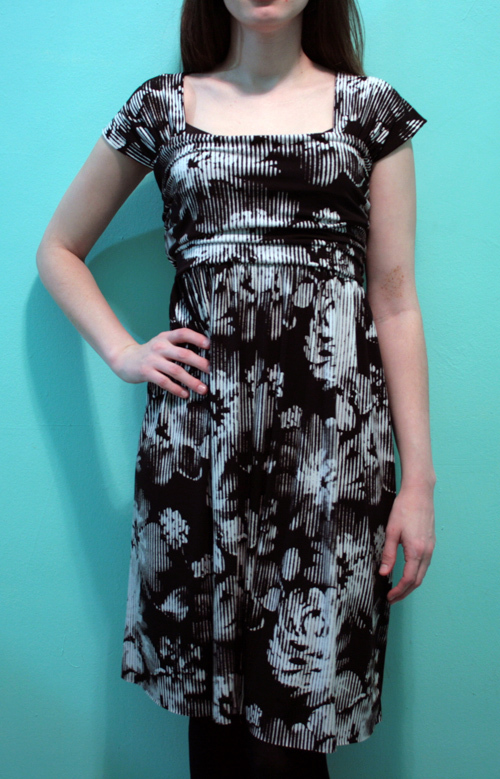 And is the dress pictured with the sleeve?